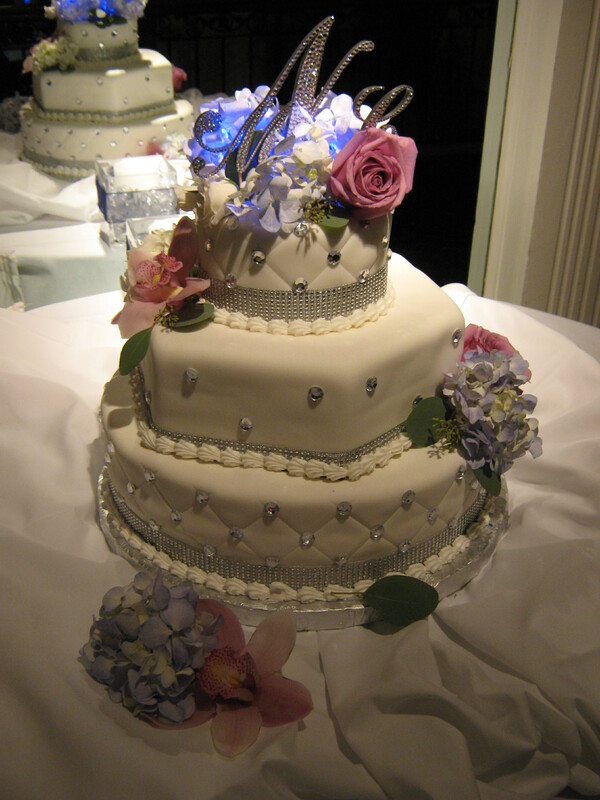 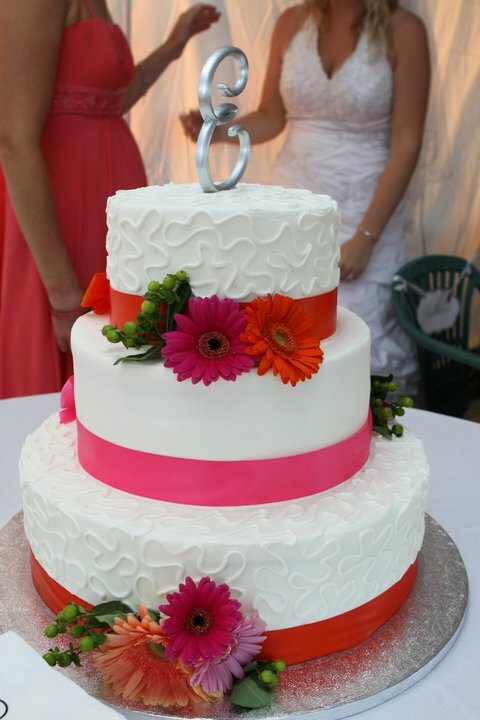 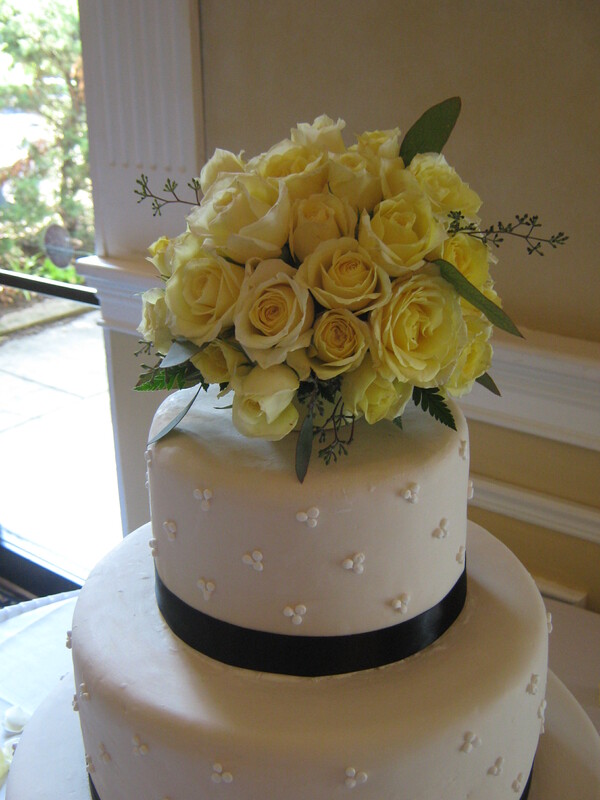 Lipinoga Florist has provided flowers to enhance the beauty of wedding cakes in a range of styles from classic to modern. 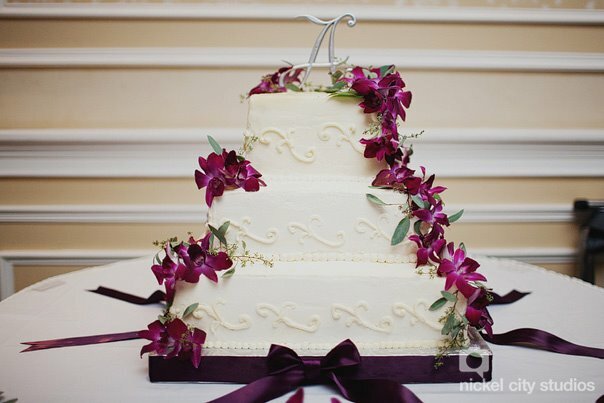 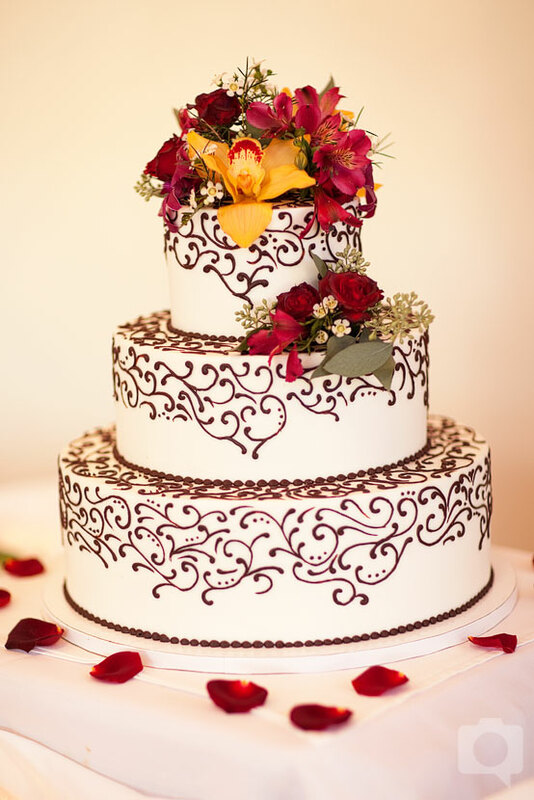 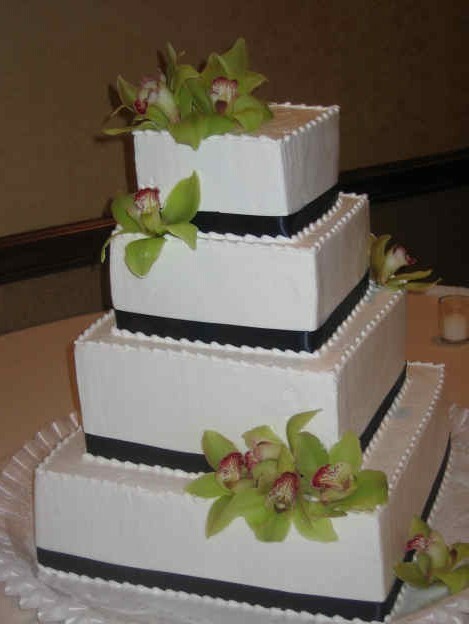 Sweeten your reception with a cake that complements your overall look and feel accented by real fresh flowers to match your bouquets and centerpieces. 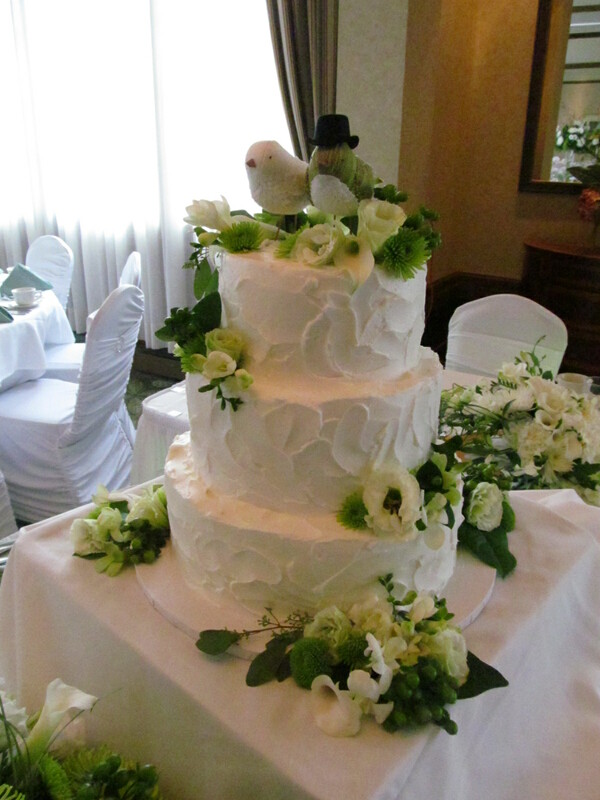 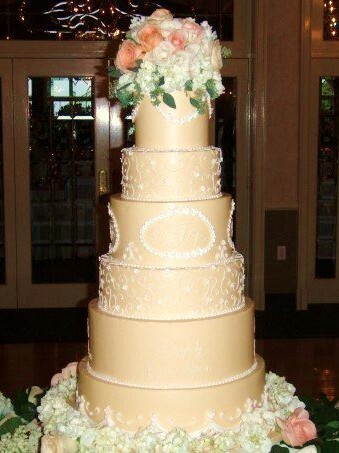 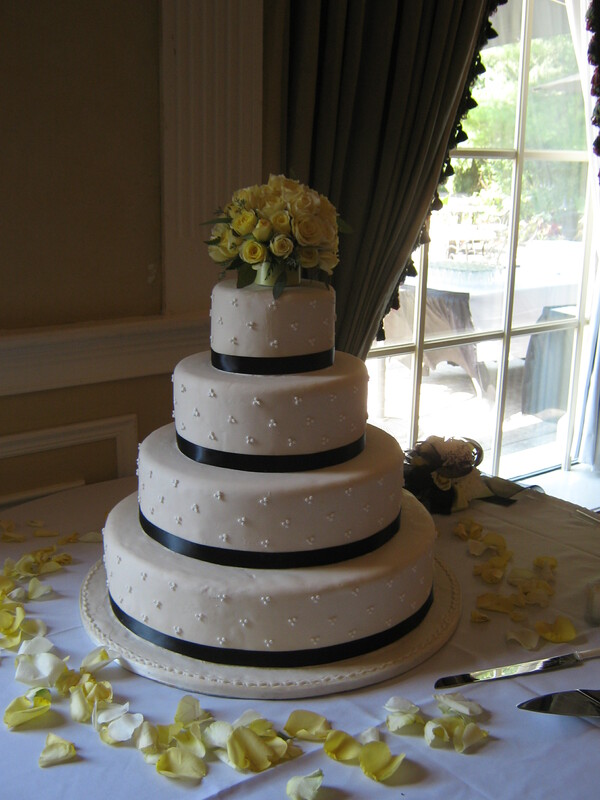 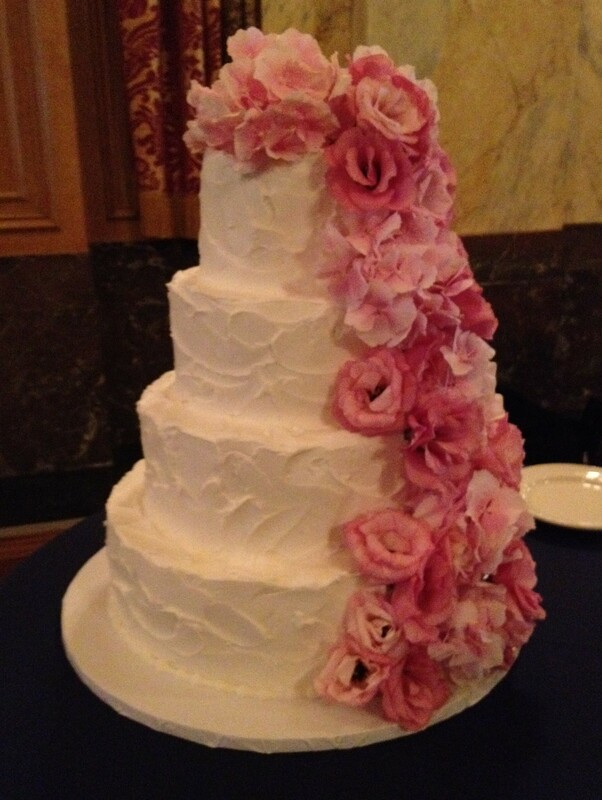 Below are a sampling of cakes in a variety of styles for real weddings held throughout Western New York, all with flowers by Lipinoga Florist. 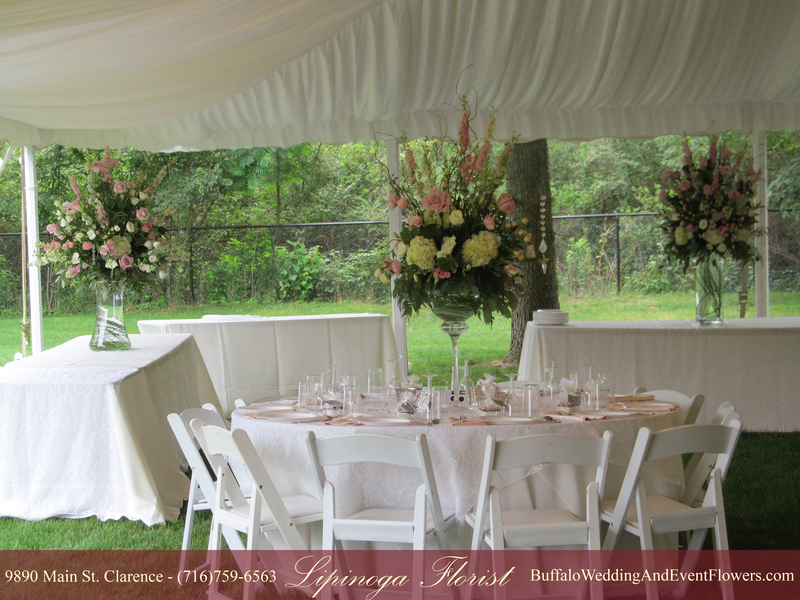 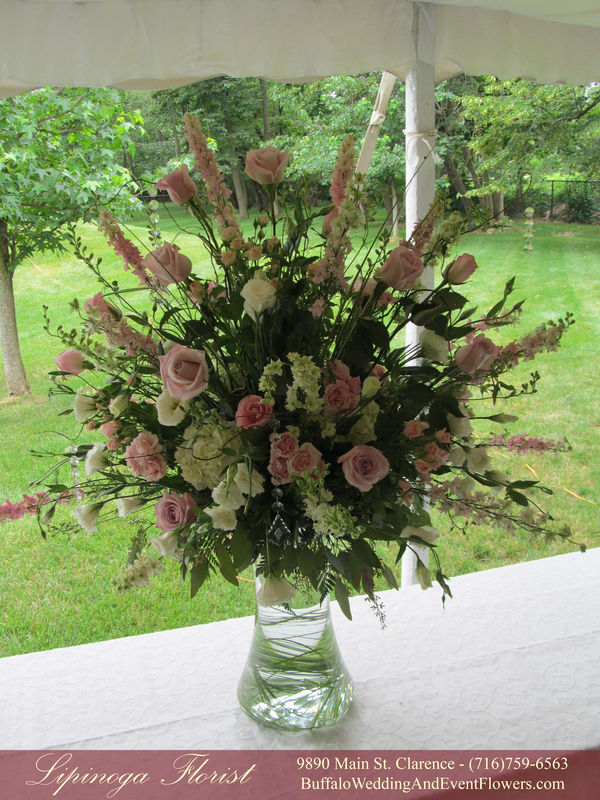 Lipinoga Florist specializes in custom designed wedding and event flowers in the Western New York area. 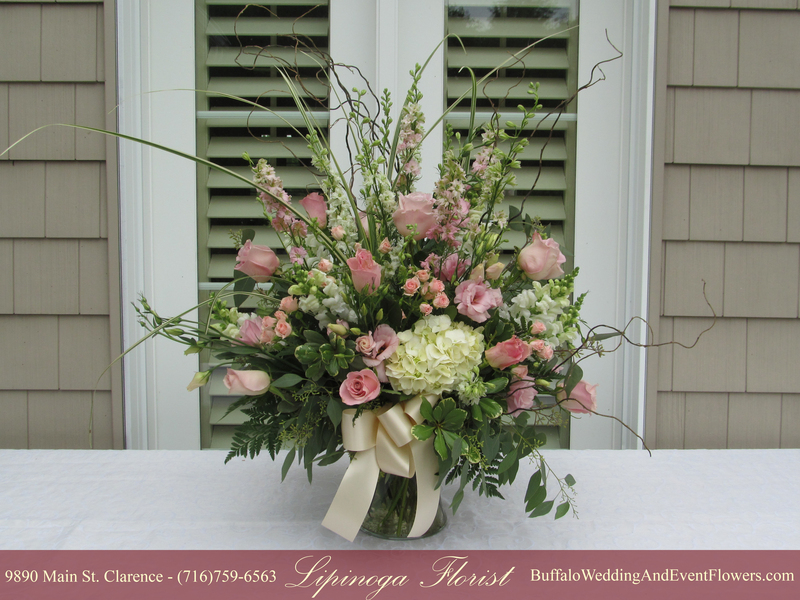 Owned and operated by the Lipinoga Family for over 25 years in Clarence, New York, Lipinoga Florist is well known for their distinctive floral designs. 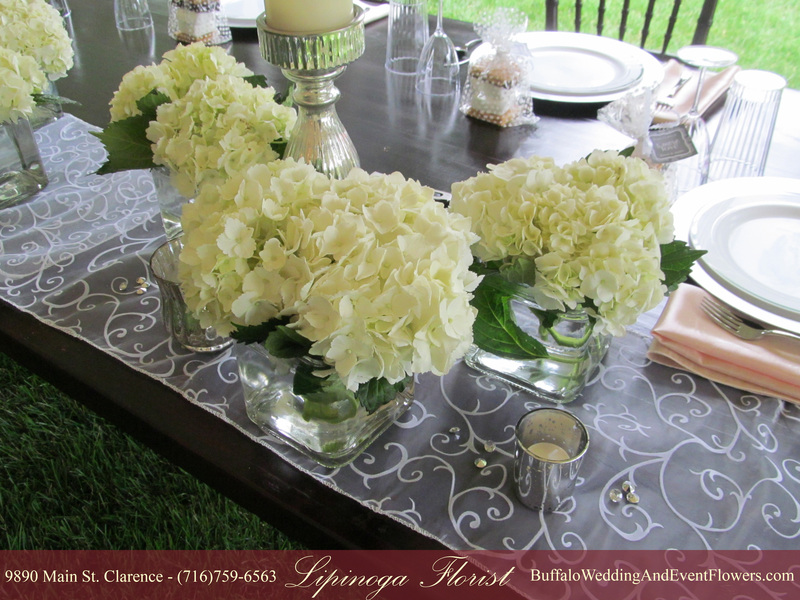 From intimate gatherings to extraordinary affairs our wealth of knowledge, resources and innovation establishes us as the premier source for wedding flowers in Western New York. 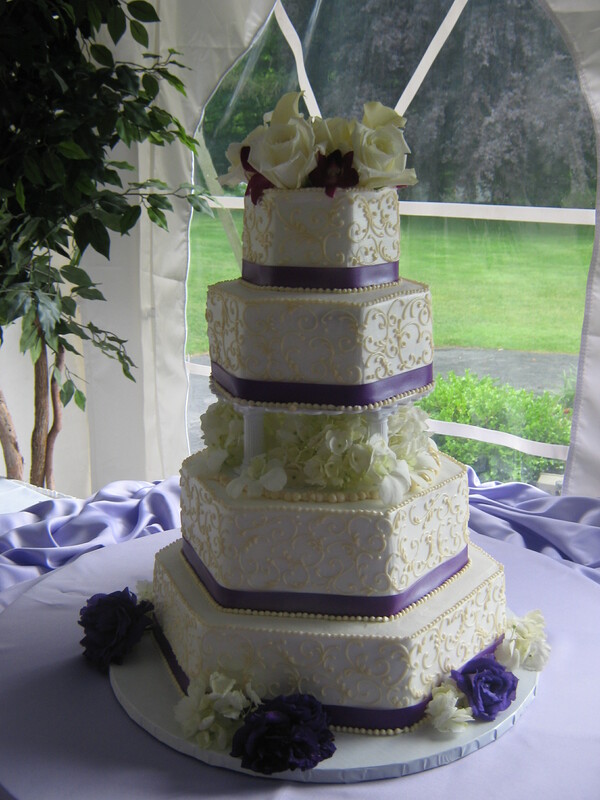 Whatever your style, budget or theme we are able to create beautiful designs to help you celebrate your special day. 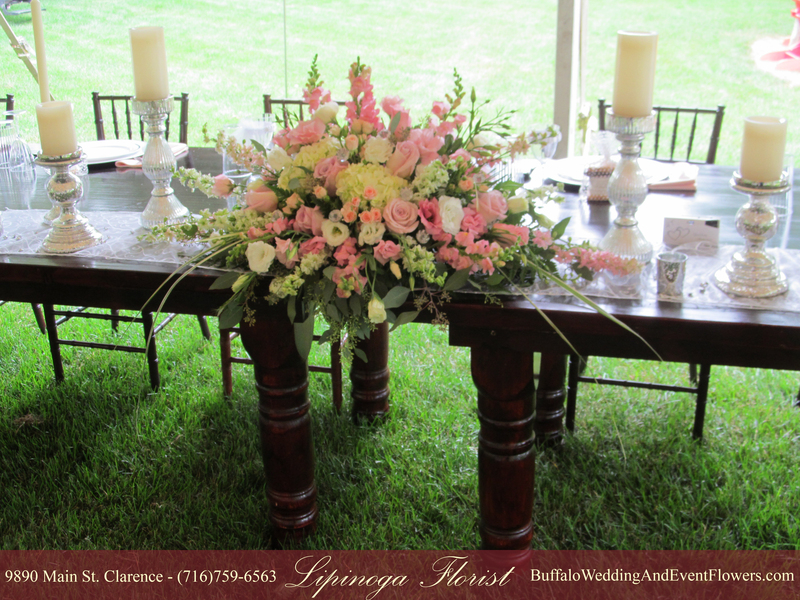 When quality counts, Lipinoga Florist is here to provide it. 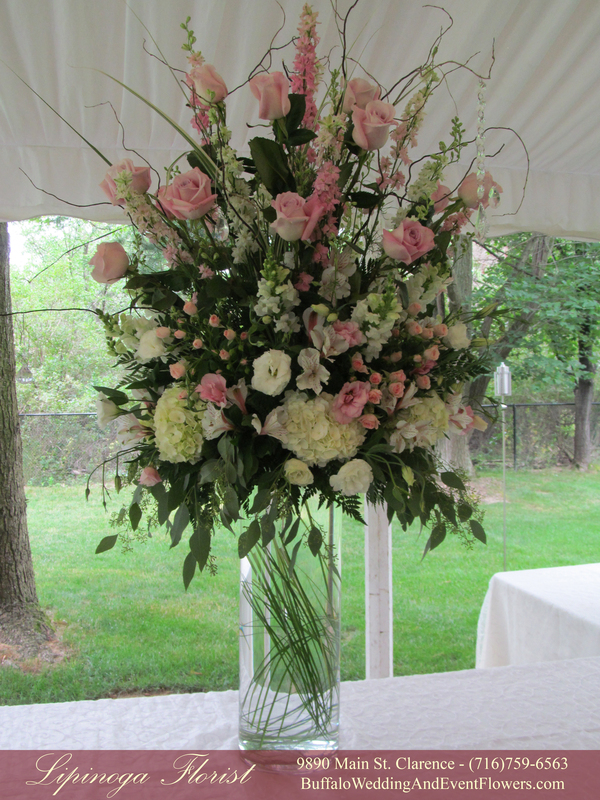 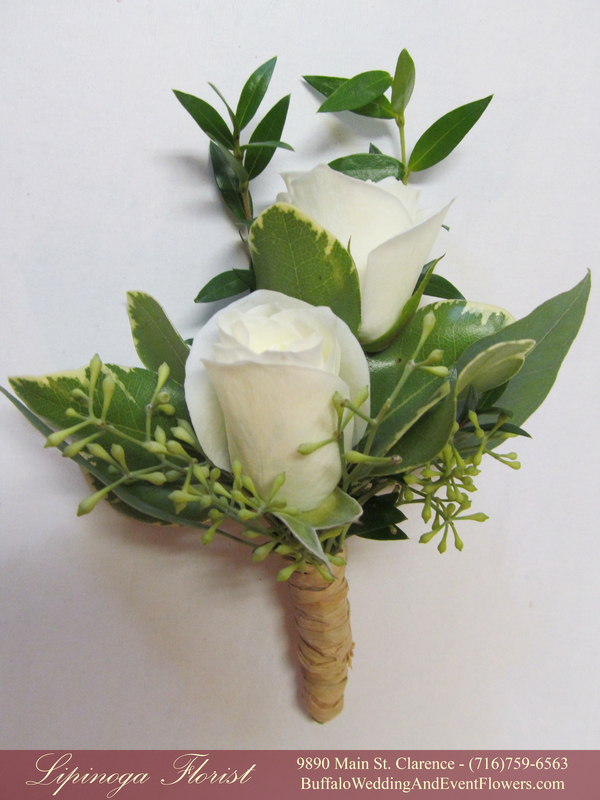 We pay attention to every detail and create fresh and creative floral arrangements for your wedding. 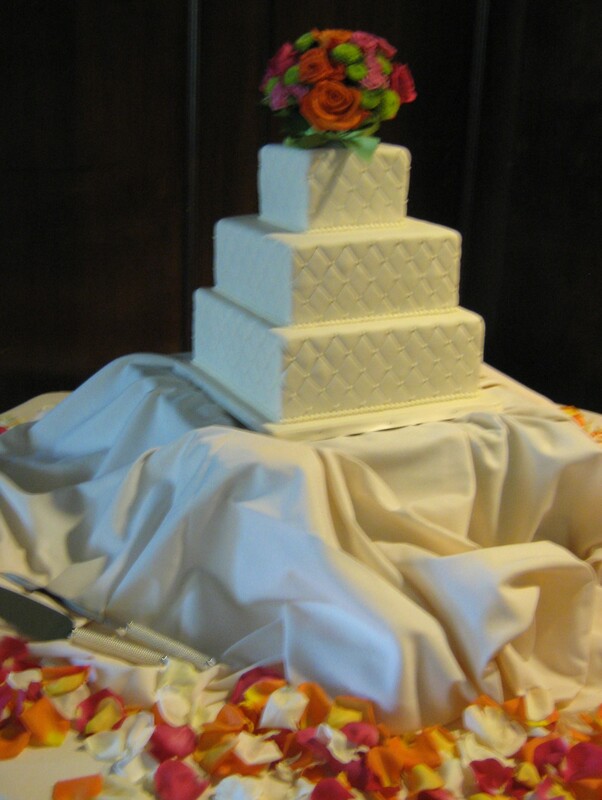 With more than 25 years in business and designers with more than 40 years experience, we are able to provide you with only the best. 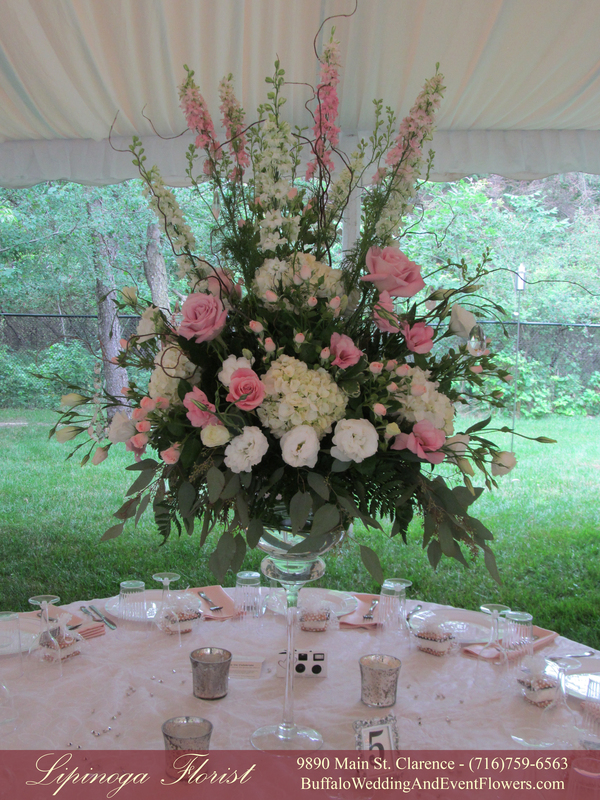 Our experience is paired with in-style and modern ideas on floral design. 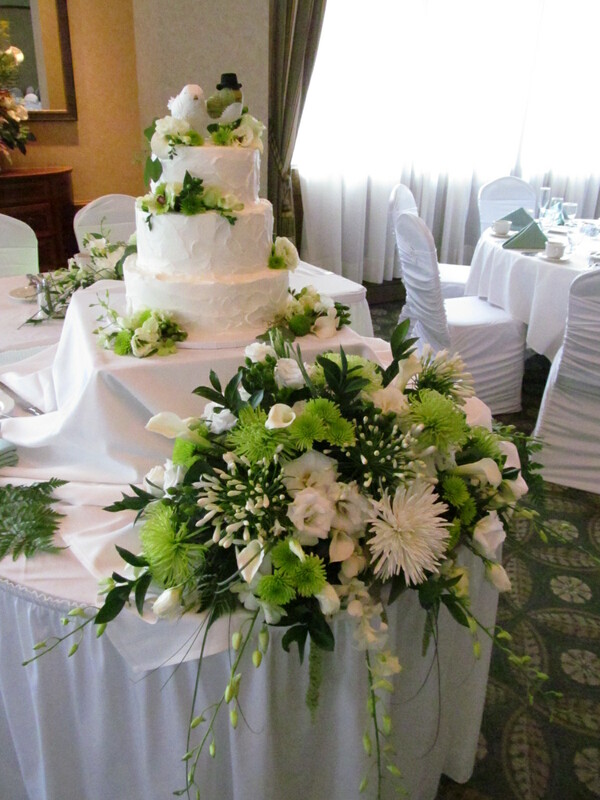 From contemporary to classic, our wedding specialists will create spectacular floral arrangements to leave a lasting impression on your family & friends for generations. 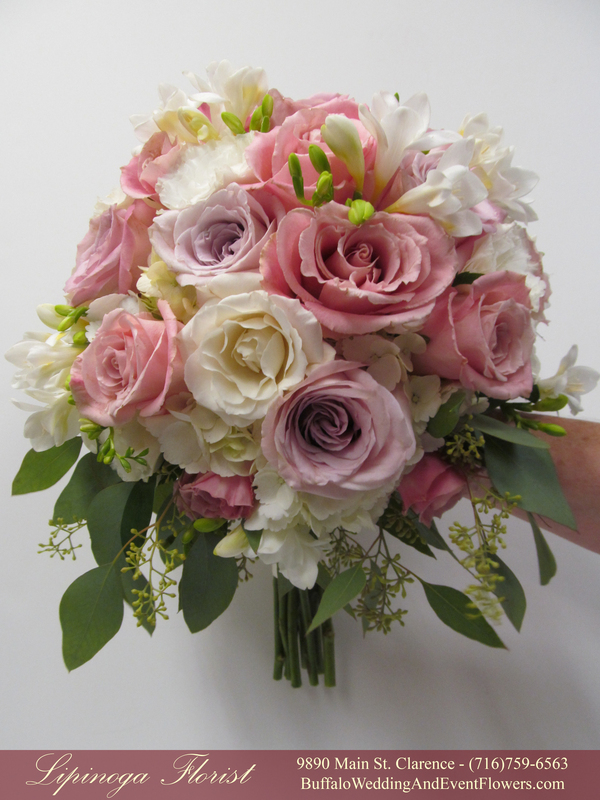 Should you need one bridal bouquet or arrangements for an elaborate wedding weekend, we offer flowers to fit every budget and style. 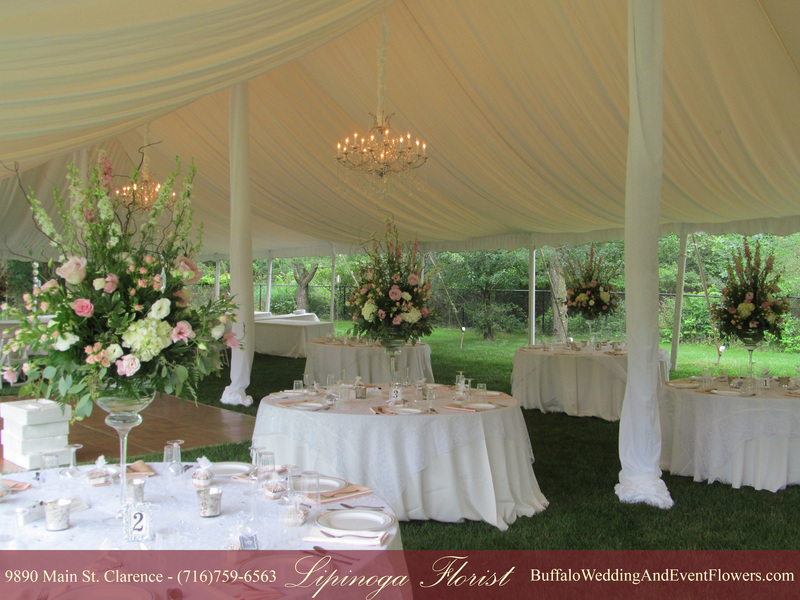 No matter the size of your wedding, we’re committed to providing the best service to make your special day as smooth and pleasant as possible, offering peace of mind for both you and your wallet. 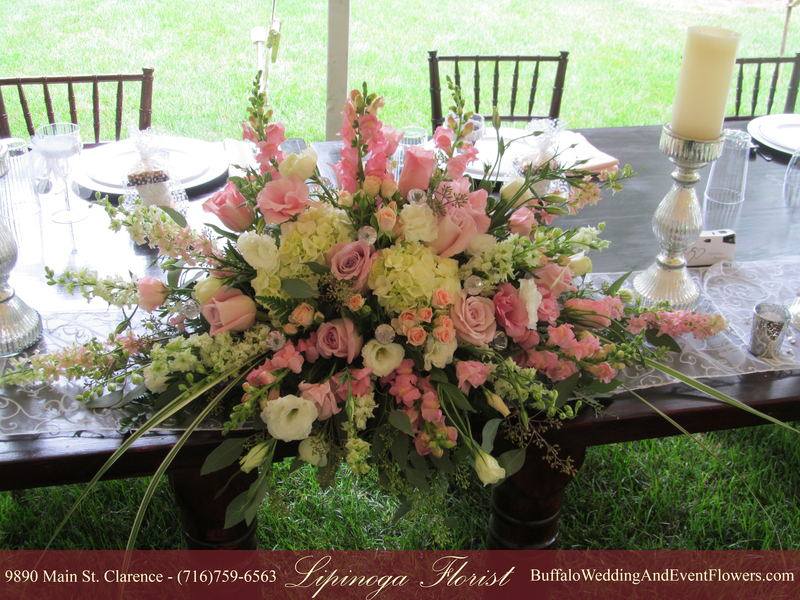 Together, the commitment to quality made by Owner, Nancy Lipinoga, and her daughters, Jennifer and Kristin, has enabled Lipinoga Florist to blossom into Buffalo’s most sought after florist for weddings and special events since 1987. 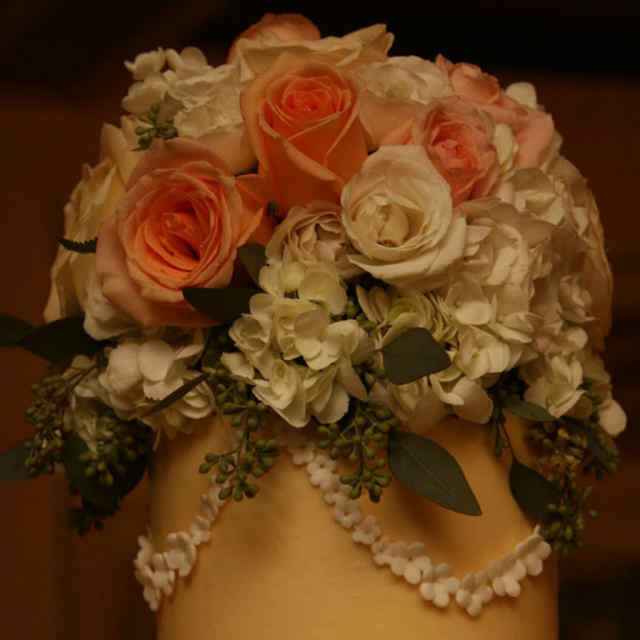 The mother-daughter team is proud to have designed for the most discerning clients; their genuine passion for flowers and creating unforgettable weddings is shown in their impressive following of loyal clientele. 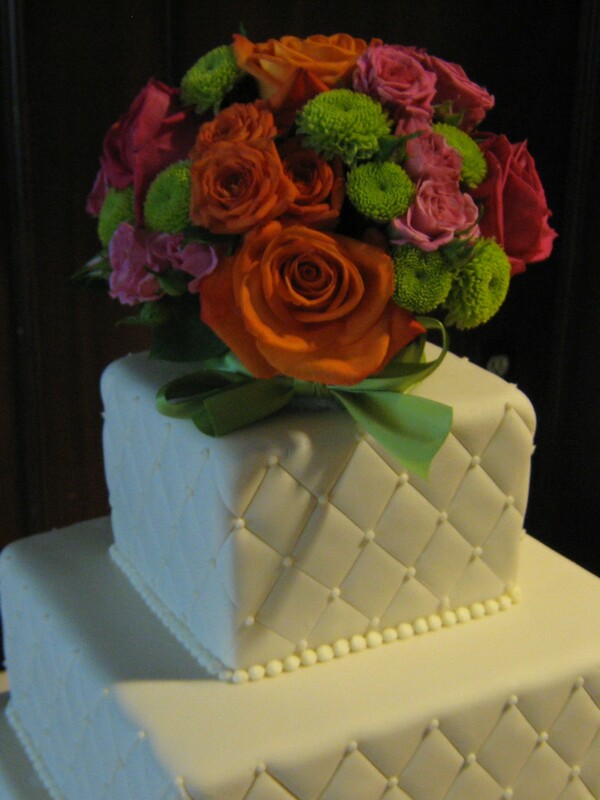 During your consultation we will discuss flower types, colors, textures and style. 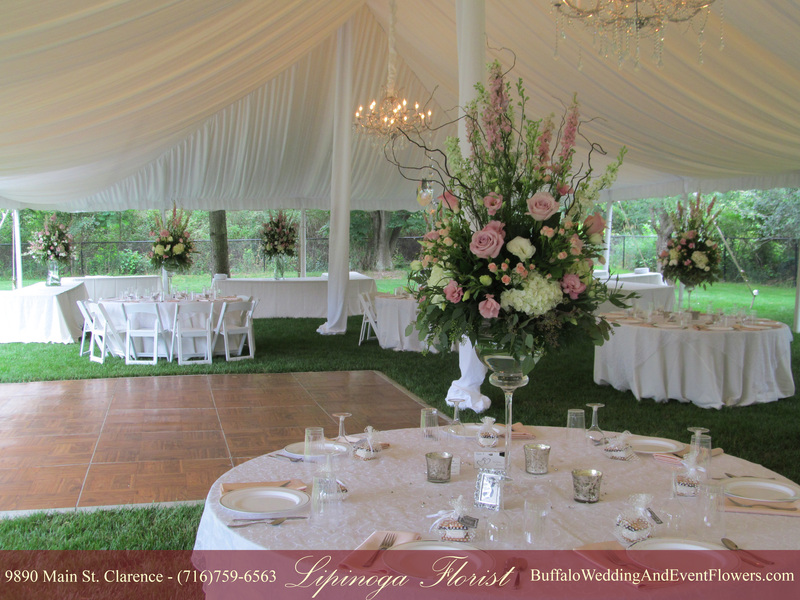 We will show you images from our vast portfolio of weddings for inspiration and examples of ceremony and reception venues throughout the Western New York area. 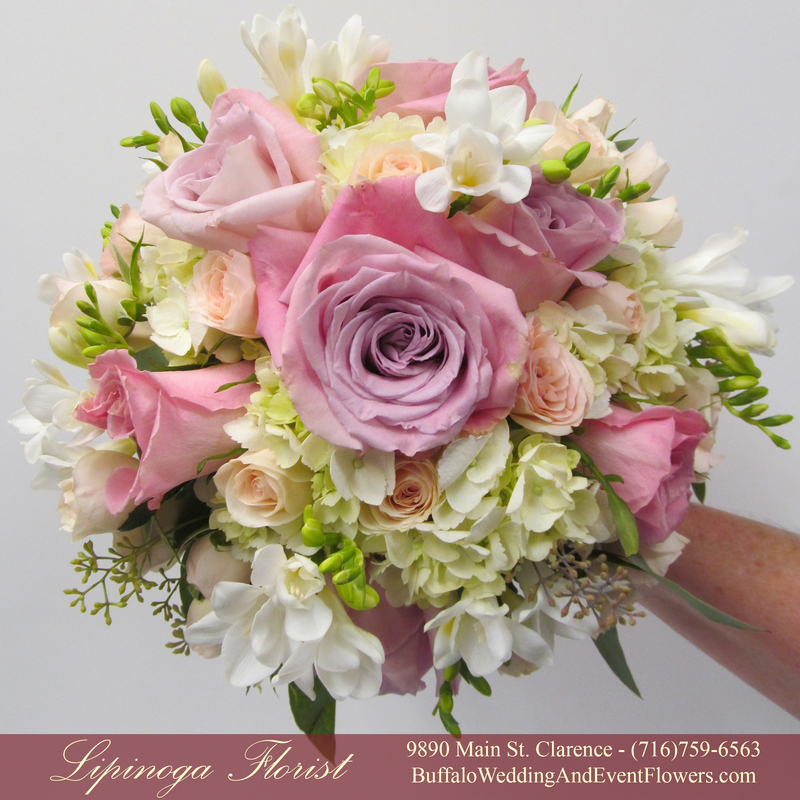 A Lipinoga Bride can expect flowers designed with intricate details that captivate your personality and enhance your venue’s aesthetic, making your wedding unforgettable. 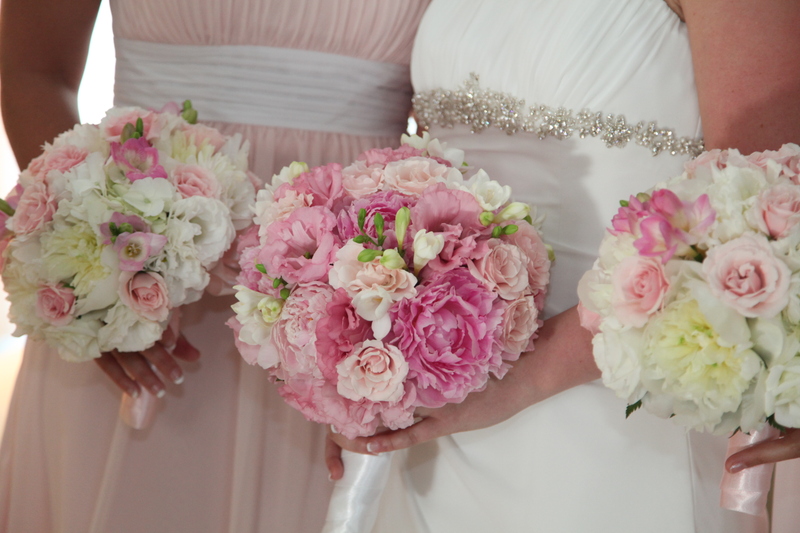 We collaborate with every bride to create a unique, seamless and memorable affair. 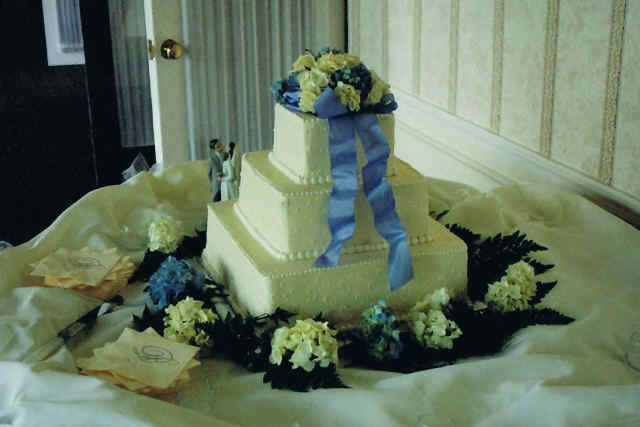 This entry was posted on April 30, 2012, in .